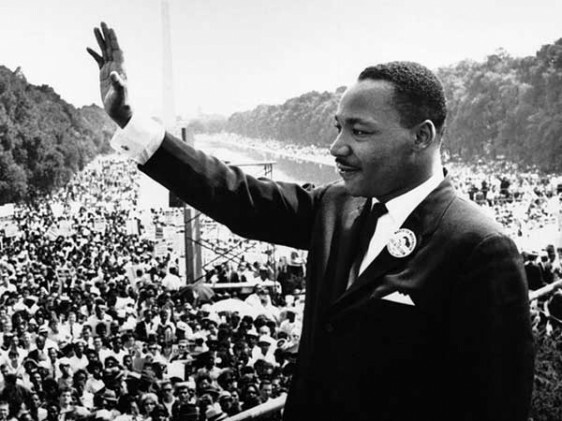 The televised violence that spilled into the streets, the clash of wills, and the adherence to a strategy that would result in tangible gains in civil rights for African Americans to a degree that would amount to Reconstruction consumed the life of Martin Luther King, Jr., who accepted that its tumult had caught him up like a slave catcher and would cost him his life. There was no doorway to escape and he met his fate with egoless steadiness, humor and an extraordinary physical courage. But it was not the life he had mapped out, and his martyrdom should not blind us to the later life where me might have returned to himself as an individual and adopt a life more true to himself and where his gifts would nave bedazzled us. This year he would be eighty- eight years old, and if still alive there would have been a vast space of time following his retirement from activism for him to construct a whole theology that would startle an America obsessed with questions about our personal faith. A Guggenheim Fellowship would give him the financial security to pursue his studies. This was exactly the life led by the Dutchman Erasmus in the fifteenth century who found the patrons to support him so that Erasmus could find a modest house with shaded garden, where he could gather books and manuscripts and master ancient Greek and Latin and a smattering of Hebrew in his heroic effort to find the kernel of compassion in all Christianity and translate the New Testament anew. King would have been sought out as a scholar in residence by the finest divinity schools in the country, but it is impossible to believe he would have chosen other than his first first home of study, Crozer Theological Seminary, now in Rochester, New York. King, traveling countless miles and staying in numberless motel rooms during the civil rights era, would have sighed with relief at returning to any place that symbolized permanency. "I forgive you. ", the survivors of the Charleston church shooting said one after another said to Dylan Roof. It is in the practice of Christianity by Black America that King would have based a translation of the New Testament that burrowed into the soul of his People whose Christianity is its core identity: pacifist, socially- minded, non-violent, accepting of strictures that are the bedrock of their daily lives. The reading of a Bible depends, still today, on the quality of its sources and the clear, lively heart of he/she who interprets it. To many American Jews, Everett Fox's translation of the Five Books of Moses is a seminal work ( the translation was Fox's life's task) that restores the Old Testament as an accurate, eerily immediate document that gives to the reader a sense of cultural belonging). This, without doubt, would have been King's joy and the culmination of all his life's twists and turns. For anyone with eyes, the faith of Black America is more profound than any denomination, more willing to be charitable, more strict with transgression. And in Written Word, Martin Luther King, Jr. would have captured its voice. Charles Bane, Jr. is a published poet and second-generation civil rights activist.